The medicinal powers of garlic have been used by herbalists for centuries. This flavorful culinary herb is used to enhance overall health as well as to treat specific ailments such as sinus infections, sore throats, yeast infections and earaches. Because it is easy to keep a supply of fresh garlic in the refrigerator, it is a simple matter to make a home remedy to treat ear infections. Consult with your health practitioner before using garlic to treat an earache. Fresh garlic is high in antioxidants and contains antibacterial, anti-fungal and anti-microbial properties. Always use fresh garlic to make an earache remedy, because fresh garlic supplies the most potent compounds. Dried or bottled garlic has been heated during the manufacturing process, which can destroy or diminish the effectiveness of the active compounds. Sweet oil is pharmaceutical-grade olive oil, and is available at pharmacies. It provides the purest base for making an ear infection remedy, and is the preferred base for topical, oil-based remedies for herbalists. Ask your pharmacist for sweet oil. If you are unable to get sweet oil, you can substitute light olive oil. Do not use sweet oil for cooking. Make an infusion by crushing 4 to 6 peeled cloves of fresh garlic and soaking them in warm olive or sweet oil on the stove for about one hour. Do not boil or simmer the oil; merely keep it warm. When the infusion is finished, remove from the heat and store in the refrigerator, with or without the garlic cloves included. Never keep garlic olive oil at room temperature, as it can develop botulism spores over time. To use the infusion for an ear infection, ask the individual to lie with the painful ear facing upwards. Drop a few drops of the warm oil infusion into the ear and gently place a piece of cotton in the ear to keep the oil from running out. Have the individual lie like this for at least 10 minutes. The treatment can be repeated as needed. Do not place liquids in an ear if you suspect there may be a broken eardrum. Another home remedy involves placing a whole clove of garlic in the outer ear canal. It's best to peel the fresh clove, cut the tip from one end, discard the tip, and wrap the clove in cheesecloth or a piece of gauze before placing it into the person's ear, with the cut end facing into the ear. Twist the cheesecloth so you have a small amount at the end of the garlic clove that you can grab between thumb and forefinger. Do not push the garlic deep into the ear canal. Place a warm washcloth or rice bag over the ear to help relieve pain. Do not use this method for young children, to avoid the garlic being pushed too deeply into the child's ear. 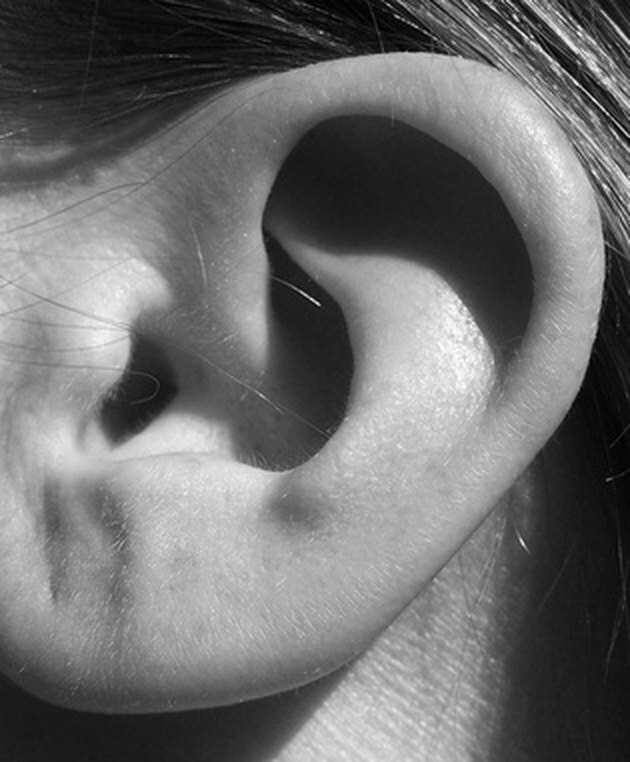 If ear pain persists or a discharge develops, contact your practitioner. In most cases, garlic used topically is safe and makes an effective treatment for ear infections; however, if you develop a rash, stop using it and contact your physician. Can You Cure Allergies with Garlic?